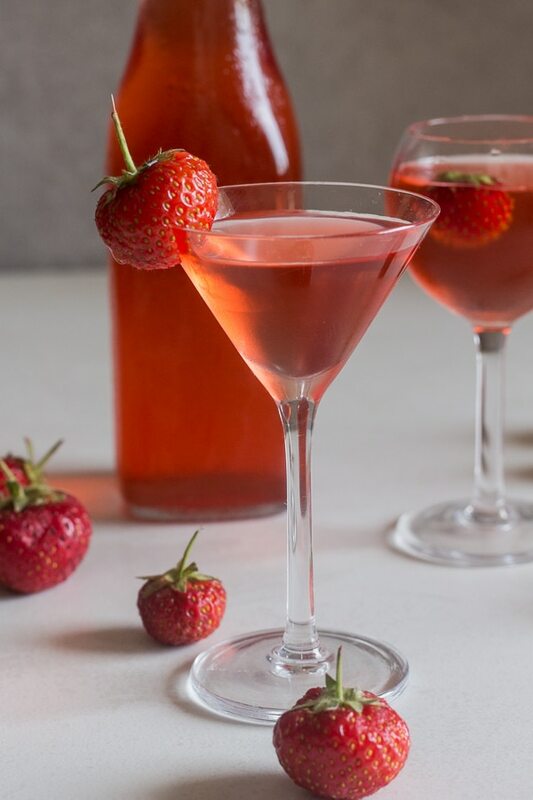 Strawberry Liqueur made with fresh Strawberries and vodka, make it with a simple syrup or a creamy mixture. Take your pick both are the best ways to bring in or take out the Strawberry Season this year! Italian are big on making Homemade Liqueur from Limoncello to Grappa. We have a friend who makes his own Grappa and I am telling you, I can’t even get that stuff down. It is so strong. I prefer my liqueurs a little less strong. And this Strawberry Liqueur is perfect. Not too sweet, a delicious after dinner liqueur. Delicious too served over ice. You might think it takes too much time to make this, but believe me the recipes where the fruit has to sit with the alcohol for more time is really worth it. Just imagine what you are going to taste in 20 days? Believe me I trust the Italians when it comes to making a homemade Liqueur. I have never had a bad one. Strong yes, bad no. Once I had the strawberry and the liquor mixed I decided to divide the liquid and make two varieties. 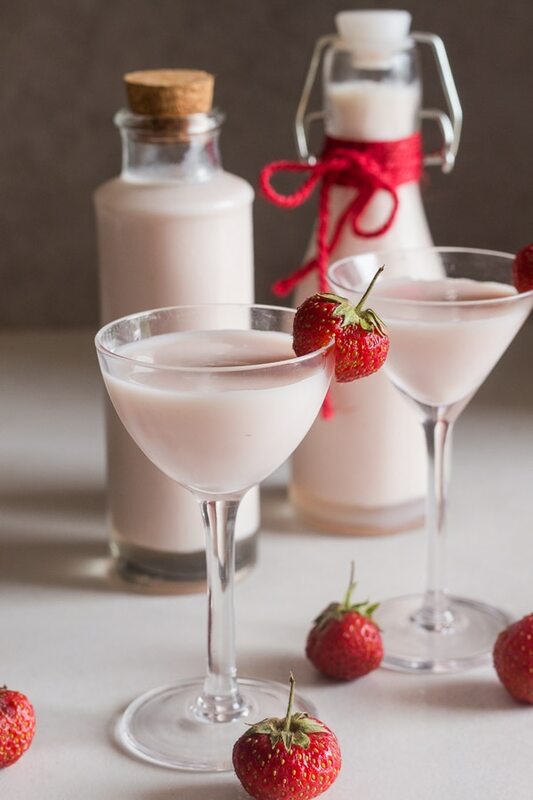 A regular Strawberry Liqueur and a Cream Strawberry Liqueur. I have to say we are a cream loving liquor couple, and it turns out so are our friends. That Cream Strawberry Liqueur went down really well. In fact too well maybe? How long does Strawberry Liqueur keep? The regular Strawberry Liqueur will keep 3-4 weeks in the fridge. 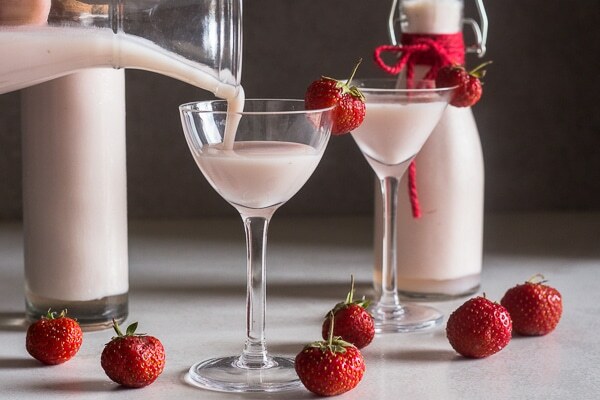 The Cream Strawberry Liqueur will keep 1-2 weeks. Place strawberries in a large glass jar with a tight fitting lid. Add the vodka and stir to combine. 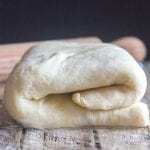 Close the jar and place in a dark cupboard or cabinet for 20 days. 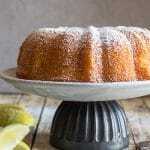 Make a syrup by boiling water and sugar until thickened, let cool completely. Separate the strawberries from the liquid using a sieve. Combine the strawberry liquid and the sugar mixture. Pour into a bottle, cover and refrigerate for 2 days before serving. So worth it! Make a cream mixture by heating whole cream, milk and sugar until very hot, let cool completely. Combine the strawberry liquid and the cream mixture. 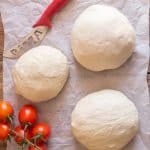 Pour into a bottle, cover and refrigerate for 1 day before serving. Even more worth it! I hope you decide to try this Liqueur, whether you try the Regular Strawberry Liqueur or the Creamy Strawberry Liqueur or why not both? Let me know what you think. Salute! More Homemade Liqueurs you may enjoy! 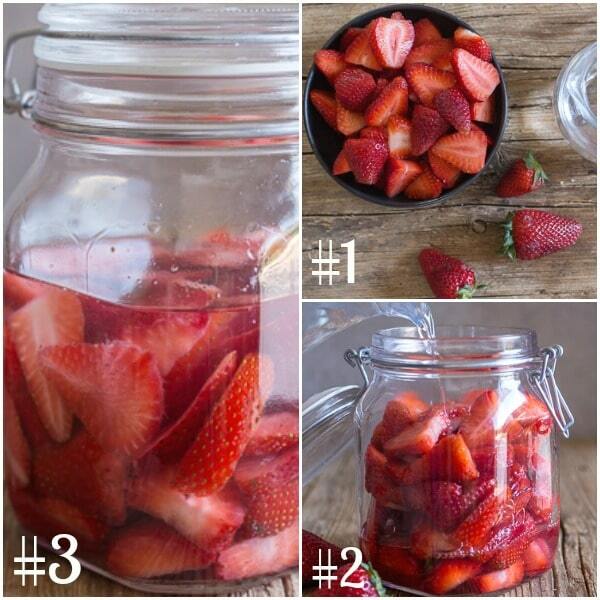 In a large jar that closes tight add the sliced strawberries and cover with the vodka. (stir to combine). Place in a dark cupboard or closet for 20 days, twirl the jar to mix every 2 days. After the 20 days has passed make the syrup, in a medium pot add the sugar and water over medium heat bring to a boil, stirring often, lower heat and cook for 8-10 minutes. Remove from heat and let cool completely. 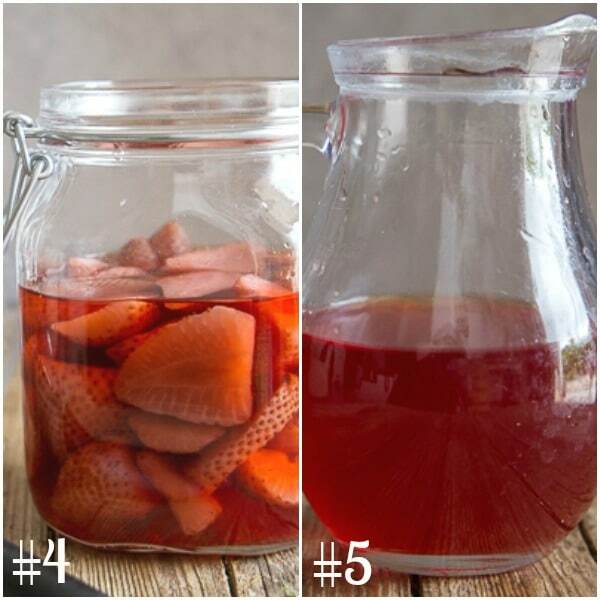 Strain the alcohol from the strawberries into a clean jar or bottle with a tight fitting lid. Add the cooled syrup and stir to combine. Close the jar and refrigerate for 2 days before serving. Can also be stored in the freezer. After the 20 days has passed make the cream syrup, in a medium pot add the sugar, milk and cream, stir to combine, bring the mixture to a boil, lower heat and simmer 1 minute, then remove from heat and let cool completely. 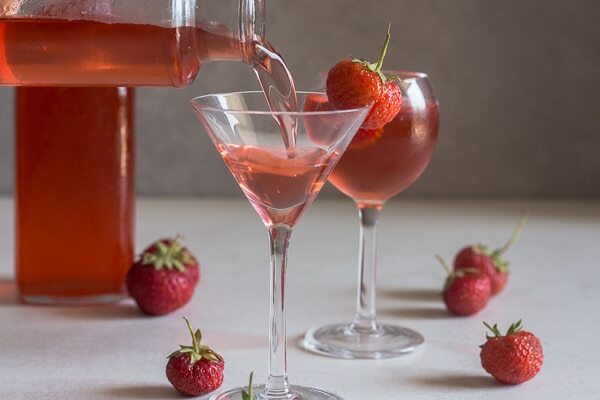 Strain the alcohol from the strawberries into a clean jar or bottle with a tight fitting lid. Add the cooled cream mixture and stir to combine. Close the jar and refrigerate for 1 day before serving. Enjoy! 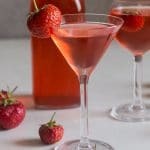 What so you do with the strawberries after the liqueur is done? Toss them out or make jam? I don’t want to just toss them, but I can’t find a recipe for spiked strawberries…. Hi Susan, I tossed them sad to say, I figured there wasn’t much taste left. I did think about serving them over ice cream. Let me know if you do something with them. 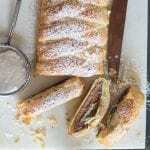 Havn’t made this recipe yet. Could you use grain alcohol instead of vodka? Hi Lillian apparently grain alcohol is also used to make liqueur. I have never used it, I think it is quite a bit stronger. But let me know how it goes. Hi Kathy, sure you can and it would be even better I would imagine. Hope you enjoy it. Oh my gosh, this looks amazing. I can’t wait for strawberry season to start in Maine so I can try a batch. I’ve made limoncello before and while I adore limoncello–I wasn’t wild about my batch and I used really good vodka too. Someone was telling me to use Everclear instead. p.s. I bet the cream version would taste amazing ladled over ice cream!